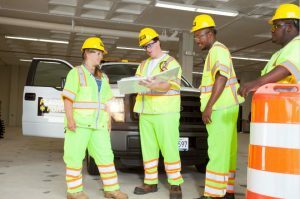 Every day all across Pennsylvania, Maryland, Delaware and Virginia, road construction workers and drivers on the road interact with traffic control employees at various sites. Our Flagger Force field crews are trained to control and maintain the safe passage of traffic through work zones allowing drivers to get where they need to go while providing the time and space for construction crews to do their job safely. When we’re planning out the traffic control and work zone safety of your road construction site, we follow and apply the guidelines provided by each state. Standard Flagging Operations include lane restrictions and temporary closures. These operations often include high volumes of traffic and require careful communication between traffic control flaggers and construction laborers doing their jobs. Our flaggers are trained to alternate vehicle movement and avoid traffic building up in any one direction, while also giving construction crews the time they need to complete their required work. Highway / Freeway Operations often mean warning motorists well before a lane restriction, deviation or closure to keep traffic and contractors safe. Work zone safety on highways requires special attention for signage and space, due to the high-speed and high-volume of traffic that pass. This is especially important at night, and is why construction crews and traffic control team members all need to be highly visible and aware of moving traffic. In all cases, Federal and State standards, regulations and guidelines all need to be followed carefully. At Flagger Force, we have spent years studying the standards related to temporary traffic control and have the resources available to meet all regulations. While many of the road construction site safety standards are similar across the states in which Flagger Force operates, there can be some differences. These are often related to factors such as the amount and placement of signage, duration of working periods and lane reductions and traffic stoppages. Construction Laborers: The laborers at a road construction site need to stay focused on their job. They have specific tasks they need to accomplish within a certain amount of time. 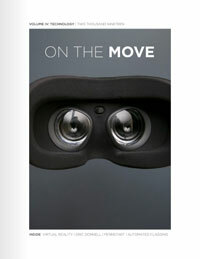 Their tasks can include working on foot or moving around the site with equipment or vehicles. Job site safety is important to construction laborers, but the high stress and quick pace can mean crew members don’t always pay close attention to general traffic passing through, which can cause dangerous situations. Motorists: The general public simply wants to pass through a construction zone and continue on their way. Some people view road construction sites as a hassle, though it’s important to remember that road construction now means better, safer roads. While most drivers in construction traffic are careful to respect lane reductions and restrictions, impatient drivers sometimes try to pass through when it isn’t safe, and can create dangerous situations for other traffic and construction site workers. Traffic Control Employees: Flagger Force temporary traffic control crew members (flaggers) are a key component of road construction site safety. Not only do they have to watch out for their own safety, but they also have the important task of ensuring construction laborers and drivers know when it’s safe to advance and when they need to slow down or stop. Our employees ensure this safe movement of traffic and workers by employing high-quality operations, clear signage and constant communication with other crew members. We work hard every day to ensure safe temporary traffic control operations all across PA, MD, DE and VA. In understanding and applying all state standards and guidelines, we ensure work zone safety, help keep traffic flowing and make sure construction laborers, motorists and our own traffic control employees all make it home safe and sound.